MICROSOFT MEGA JACKPOT LOTTERY NL. Finally today, we announce the winners of the MICROSOFT MEGA JACKPOT LOTTO WINNINGS PROGRAMS held Jan. 2007. 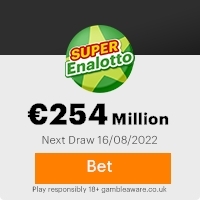 Your company or your personal e-mail address, attached to winning number 23-76-06-54-42-100, With serial number 647489, consequently won in the 1st lottery category. You have been approved of lump sums pay out of US$1,000,000,00 Dollars in cash Credited to file REF NO: MSW/56B-672GH/L and winning number 23-76-06-54-42-100. Selection process was carried out through random selection in our computerized email selection machine (TOPAZ) from a database of over 1,000,000 email addresses drawn from all the continents of the world. The online draws was conducted by a random selection of email addresses from an exclusive list of 29,031 E-mail addresses of individuals and corporate bodies picked by an advanced automated random computer search from the internet. No ticket were sold but all email addresses were assigned to different ticket numbers for representation and privacy. This is to encourage our prominent Microsoft Internet Explorer users all over the world, and for the Continues use of E-mail. Your fund (Certified Cashiers Cheque) has been insured with your REF NO: MSW/56B-672GH/L and winning number 23-76-06-54-42-100. To claim your winning prize, you must first contact the claims department by email for Processing and remittance of your prize to you. This Email with the Subject "FROM THE DESK OF THE MICROSOFT" was received in one of Scamdex's honeypot email accounts on Tue, 13 Feb 2007 06:36:01 -0800 and has been classified as a Generic Scam Email. The sender shows as admin@infowoop2007.com, although that address was probably spoofed. We recommend that you do not attempt to contact any persons or organizations referenced in this email, as you may expose yourself to scammers and, at the very least, you will be added to their email address lists for spam purposes.